It was April 2006. I had recently graduated from University and I was looking for some English courses in Australia, my dreamed destination at that time, when I ended up on our former esl-italia.org website. The day I showed up at our brand new Via della Braida’s office in Milan, a young, charismatic Olivier Grollimund welcomed me with open arms. That day I booked my study abroad programme in Perth, Australia. I’ve been one of the first students booking through the Milan office. 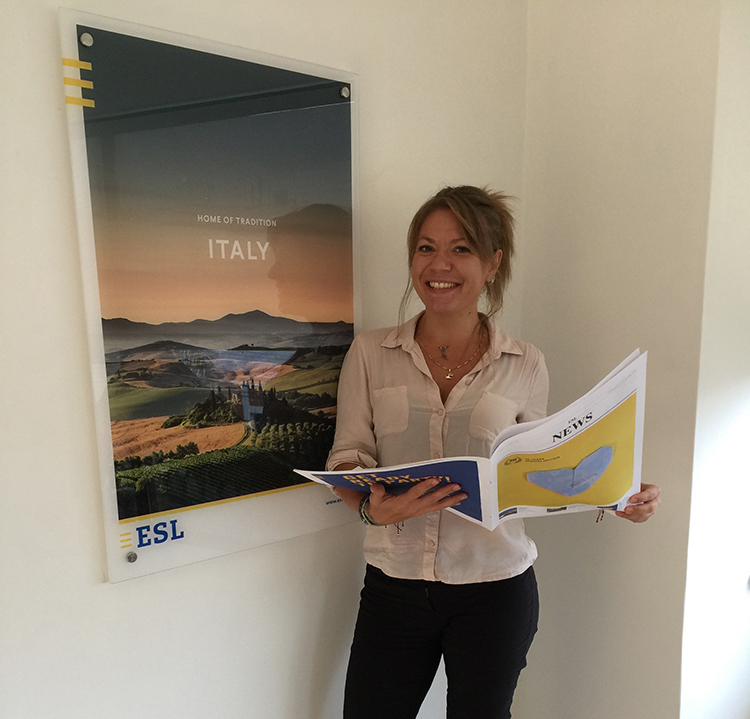 Who could imagine I would become a Language Travel Consultant for ESL? The rest is history! 10 years have passed since I joined ESL and here I am, undertaking the role of Senior Office Manager for our Colombian market, working from our beautiful office in Cali. Mine has clearly been a 360-degree experience within the company and so far, I have enjoyed every single moment of it. I am really passionate about traveling and getting to know new cultures and ESL has given me the chance to nurture this passion of mine and transmit it to our students and colleagues while working from some of our ESL branch offices located around the world: Italy, Switzerland, Panama and Colombia: a true life-changing experience. I can definitely say, I am an adventurous soul and, thanks to ESL, I’ve always managed to satisfy my thirst for adventure and hunger for knowledge and I will always be grateful for the opportunity I’ve been given throughout these years, as I’ve grown a lot both as a professional and as a human being. What I like the most about working at ESL is the multicultural atmosphere. Since I joined the company, I’ve met many colleagues from different parts of the world, whom I am still in touch with. Being able to work from different countries around the world, undertake different roles and travel to different destinations has definitely enhanced my skills. I am proud to be part of a company that values the personal as well as professional growth of its co-workers and that’s the basis for ESL long-lasting success.